Christians deny the existence of thousands of gods claimed by other religions, but feel outraged when someone denies the existence of your god. Well, lots of Christians I know are not the least bit “outraged”. In fact, some of us are happy to talk with anyone who denies the existence of a creator. It usually makes for very interesting conversation. You feel insulted and ‘dehumanized’ when scientists say people evolved from lesser life forms, but you have no problem with the Biblical claim that we were created from dirt. Um, no. I don’t know for absolute certain how we were created, other than it was God who did it. What else do I need to know on this subject? You laugh at polytheists, but you have no problem believing in a trinity god. Maybe some Christians laugh at people who believe in more than one god. But most of us don’t. 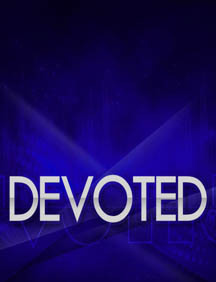 Does that mean we’re not “devoted” Christians? Your face turns purple when you hear of atrocities attributed to Allah, but you don’t even flinch when hearing about how God slaughtered all the babies in Egypt in ‘Exodus’ or ordered the elimination of entire ethnic groups in ‘Joshua’. Lots of Christians, including me, DO flinch when we read about these things in the Bible. No one can claim to understand all the Bible. But I suggest you check out the Christian Apologetics and Research Ministry (http://carm.org/) to thoroughly investigate the things you find so objectionable. You laugh at Hindu beliefs that deify humans and Greek claims about gods sleeping with women, but you have no problem believing the Holy Spirit impregnated Mary, who then gave birth to a man-god who got killed, came back to life, then ascended into the sky. You must have encountered a few Christians who ridiculed other faiths and decided this is what ‘devoted’ Christians are like. I hope my responses open your mind to other possibilities. You believe that the entire population of this planet, except those who share your beliefs, will spend eternity in Hell. Yet you consider your religion tolerant and loving. I believe God gives the gift of choice to all people who have been accurately told about who He is and the gift He’s offered to everyone on this planet – Jesus Christ. If people choose to reject Christ and spend eternity separated from God, then that’s their free will. You define 0.01% as a ‘high success rate’ when it comes to answered prayers, and you think the remaining 99.99% failure was simply God’s will. Where did these percentages come from? Who did the research and how? Prayer is a mystery because it involves a mix of God’s will and our very imperfect will. But does that make it useless? Hardly. You know less about the Bible, Christianity and church history than most atheists and agnostics, but still call yourself a “Christian”. This is an enormous generalization. I think it’s safe to say that most agnostics know nothing about the Bible because they just don’t care about spirituality. That said, the lack of knowledge about the Bible and church history on the part of many Christians is sad. So, are you surprised at the responses to these assertions? Post your thoughts below and let’s have a conversation.